Click the button below to add the Copper Range Hood '0101' to your wish list. 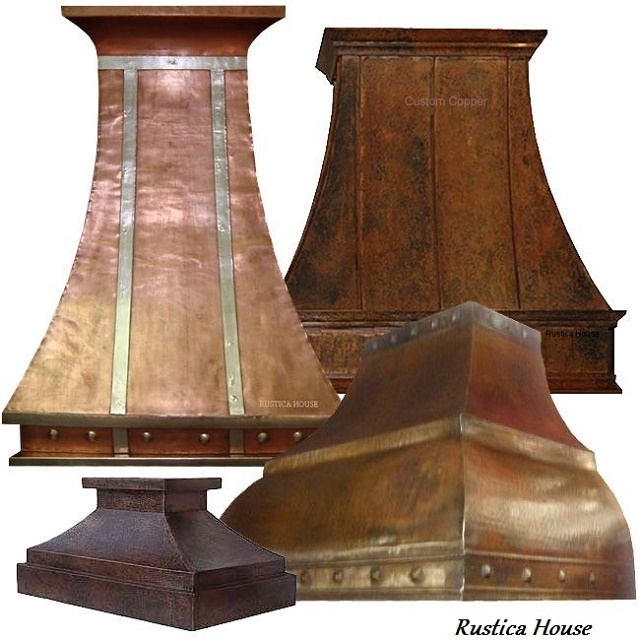 Spanish hacienda copper range hood decorated with forged iron. This kitchen hood was made in Michoacan state located in central Mexico, perfect example of old European heritage reflected in local architecture, decorations and furnishings. The hood is fabricated of hammered copper and it can be supplied smooth. Select 30, 36, 42, 48, 54 or 64 inch size, patina, style insallation in product options including insert added or prepared for your own ventilation system. Hacienda hood on the photo shown in antique presentation.